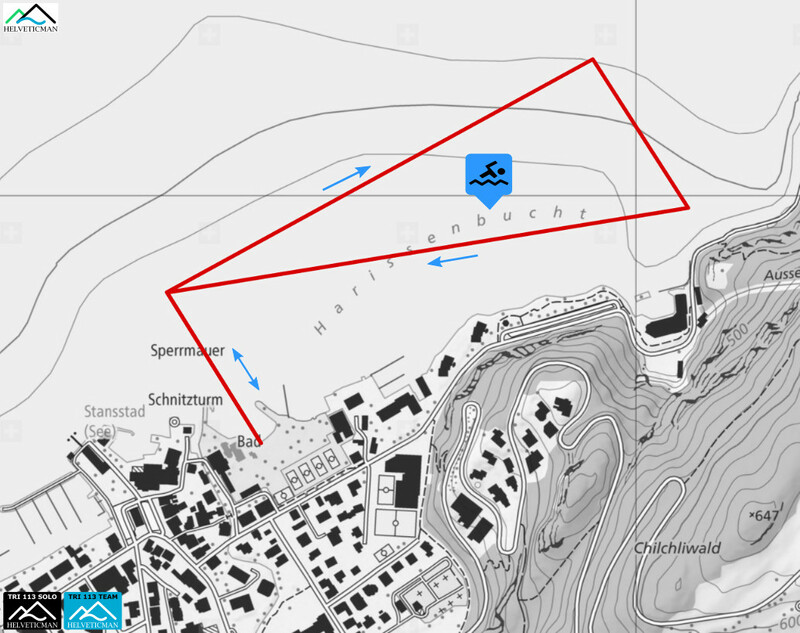 The water temperature in VIERWALDSTÄTTERSEE is generally mild (between 18-20 degrees C ) The first loop on the bike takes you LEFT out of T1 and starts off with a small climb towards BÜRGENSTOCK. You’ll catch a beautiful view of lake ALPNACHERSEE on the way back to STANSSTAD then continue the ride into the town of KERNS. You’ll continue past ALPNACHERSEE and SARNERSEE before heading into the heart of the climbs. The first big climb starts with the FARMER’S LOOP (everyones favorite) which takes you on quiet roads with stunning views before you reach Glaubenbergstrasse all the way to the top of GLAUBENBERGPASS. There are several cattle crossings on your climb to the top but shouldn’t cause any issues as this is a famous local cycling pass with a fast descent. 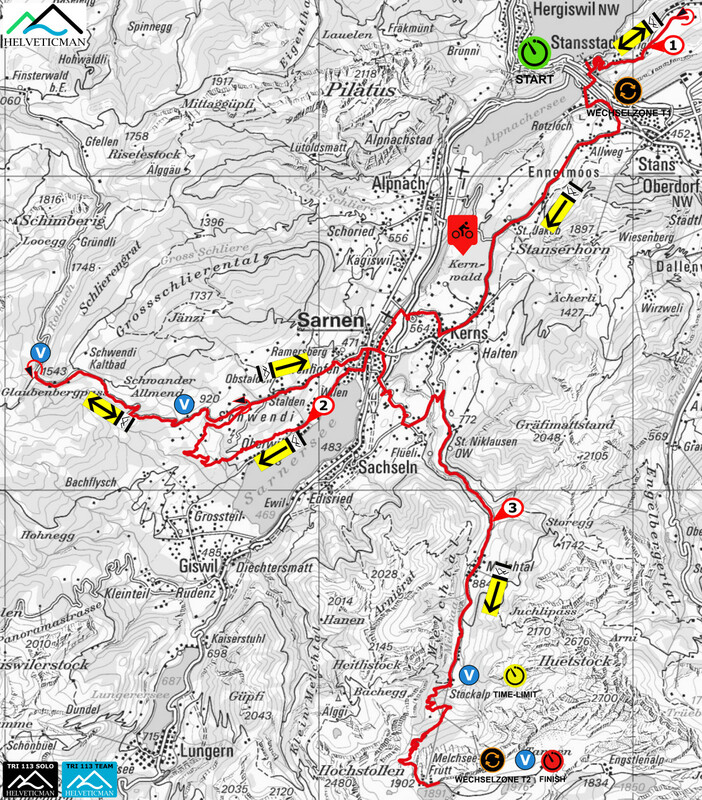 The course will then take you back to SARNEN and through the back way towards FLÜELI-RANFT and to the MELCHTAL valley. The ride continues on a gradual ascent for approximately 8 miles (13 Km) reaching the STÖCKALP Gondola station. Here you’ll say goodbye to your family and friends as you head up the narrow road. The last climb to the top of the gondola in MELCHSEE-FRUTT will remain etched in your memory as one of the finest as you’ll be nestled between the solitude of cliffs on a challenging vertical pitch. Non-racers may take the Gondola up to cheer you on at T2. Here they can enjoy a hike around the lake, grab a beverage at the restaurants or breathe in the tranquility of the surroundings as you head out on your challenging run, one of the highest in a Triathlon. The run leads you first back to the road you just climbed where you’ll quickly meet the trail on your right. You’ll loop around lake BLAUSEE then make your way back toward the transition area where your family and friends can give you another cheer before you head through the lush mountain valley of MELCHSEE-FRUTT. You’ll reach the TANNALP and then head down to Canton of Bern reaching ENGSTLENALP with its lake. On your way back the trail takes you to Canton OBWALDEN where you’ll reach the highest point of the day (2,050 m/6,730 ft). Continuing along the trail among impressive cliffs you’ll be treated to stunning views as you make your way to the finish in MELCHSEE-FRUTT. Race number/Timing chip pick up.